The most important information and documents for the participants in the competitions in Villach. How to register for the competitions. All official documents at a glance. The info for the preregistration for downloading. 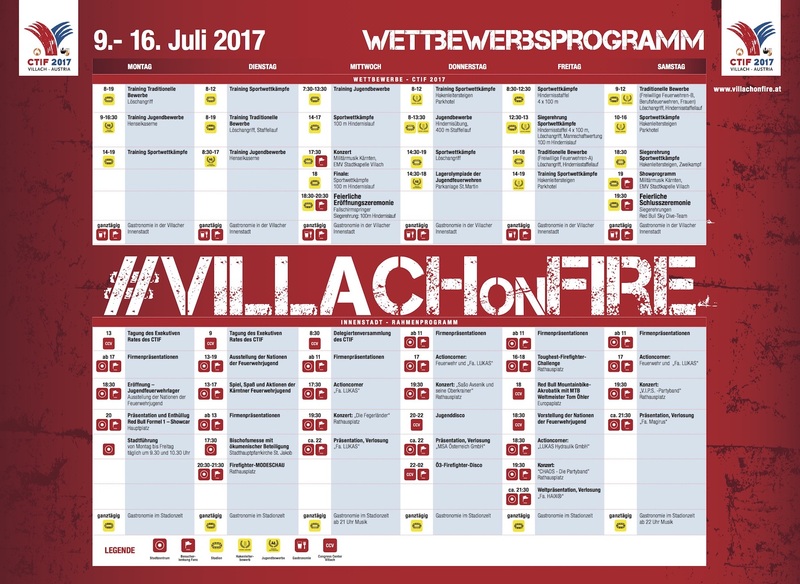 Inquiries can be sent to the following address: sport@villach.at. The official documents on the event. Simply click on the respective download symbol to download the invitation document or competition rules. The official documents on the Youth Fire Brigade event. Simply click on the respective symbol to download the invitation document and registration form. The official invitation document for the Youth Fire Brigade Meeting. The registration form for the Youth Fire Fighters Gathering.